It’s time for this year’s Nano Poblano Blog Hop! Fishy over at Fish of Gold started it last year and she has started another blog hop story this year. Thanks Fishy! I loved being a part of the blog hop story last year so thank you Rara for tagging me for this years story. Wait until you are tagged, then add a new post on your blog with these rules, the story so far, and who’s been tagged. 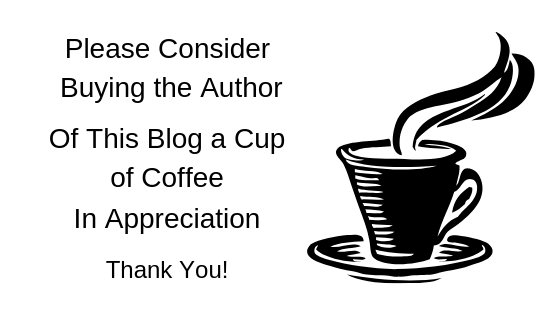 Title and tag the post as Nano Poblano Blog Hop Story 2015. Add at least one sentence to the story. Pick another Pepper from the blogroll to tag (preferably one who hasn’t already been tagged). Add a link to your chosen Pepper’s about page (so they get a notification that they’ve been tagged) to the tagged list below. Pass the story along within two days of getting tagged. Here is the story so far, with my addition in blue at the end. Eli stumbled into the compartment, flush and out of breath, and took the only available seat next to an old woman and a child. After months of planning, he suddenly had a bad feeling about this and stood right back up again, but at the same time, the train started moving. There was no going back. As if to accentuate the point, the jerk of the train starting thrust Eli into his seat. Was he doing the right thing? Was he doing the wrong thing for the right reasons? Eli didn’t really know. What he did know was that the old lady had fake teeth that hadn’t been cleaned in a while, and the child reminded him of all the scary movies he’d seen about children. But that was besides the point. Eli was on a mission. Kind of. He cringed, wishing he had planned this trip differently. The train ride lasted a full hour, plenty of time for things to go wrong when split-second timing was needed. A droplet of sweat beaded at the end of Eli’s reddened face as he tried to catch his breath. Luckily, the old woman seemed to be busy telling the child a long and rambling fairy story. She hadn’t even noticed her fellow passenger. Eli meant to keep it that way. The child Eli had noticed was Rory, who was on a “real-life Thomas the Train trip” with his Gramma. Eli was right to note that Rory looked a little scary. The poor child did look a lot like Chucky from the classic horror movie Child’s Play…but then maybe that could be said of any three-year-old with red hair and freckles. “GRAMMA, WHO’S DAT MAN?” Rory exclaimed, using his “outside voice”, pointing directly at Eli. THAT MAN RIGHT THERE GRAMMA! SEE? SEE THAT MAN?! DAT MAN DARE, GRAMMA! SEE? SEE DAT MAN?! That man was the conductor of the train and he had an announcement to make. The passengers gave him the solemnity and respect fairly due to any person wearing such an official uniform. Eli jumped when the conductor started to speak right behind him. At first he thought the kid had been pointing at him, which made him sweat, but the kid instead had pointed at the conductor. The passengers started to leave the train, Eli followed reluctantly. He had no choice. He had heard of Bubbleville and its ‘rich history’. It was supposedly haunted with the ghosts of its founder Mr. Bubbles, a mean and miserly man and some of the people Mr. Bubbles had done wrong. Eli wondered if the legend was true. He hoped not. What he needed was a new plan, as his was not panning out. Eli followed the rest of the passengers into the only hotel in Bubbleville. A dark, brooding place that looked more suited for nightmares than restful slumber.